Emojis may only seem like whimsical little illustrations, but collectively, they can reveal some interesting cultural trends about digital audiences. Brandwatch just released The Emoji Report, a comprehensive analysis of every emoji published on Twitter over the past two years. While our tweeted emojis may not offer as deep of a psychological insight as the ones we text, they can tell us plenty about the general state of the world. 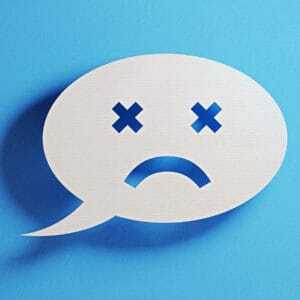 For example, according to the report, the use of negative emojis has increased 9.5 percent over the past two years, with a significant spike coming during the 2016 American election, when 28.9 percent of tweeted emojis were negative. Despite the drop, 31 percent of all tweeted emojis over the past few years expressed joy. The Emoji Report also gathered which emojis consumers use when speaking about specific brands. Airline brands may want to know that the second-most used emoji consumers direct at them is the red angry face. That’s probably an indication your customer service could use some restructuring. Emojis could also offer brands a visual indication of how their products fare compared to the competition. Evaluating customer reviews takes a lot more time than glancing at a happy face, and consumers are leveraging their use of emojis to get the attention of companies. Brandwatch even predicts that in the next few years, emojis will emerge as the one language that allows humans to communicate across the globe. While emojis haven’t entirely eradicated text, they are officially the internet’s most popular language—95 percent of the internet currently uses them. My astrology app even texts me my daily horoscope entirely in emojis. I can’t say that I fully understand what it means yet, but I’m well on my way.